With the number one event on the worldwide board gaming calendar – the Internationale Spieltage Spiel ’15 in Essen – just two months away, I’m already getting stupidly excited. This year’s event will be the biggest yet, moving up to 63,000 sq m of convention hall space (from 58,000 last year), with a staggering 850+ exhibitors flogging they’re cardy, dicey and boardy wares. This will be my fourth time attending, but each time feels just as good as the previous visits. But if you’re heading to Essen Spiel for your début gaming Mecca experience, here are a few things that I feel shouldn’t be missed but that may not be immediately obvious to the goggle-eyed and overwhelmed first-timer. 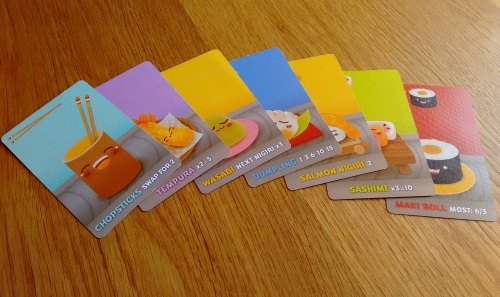 I’d also suggest checking out my Essen Guide for travel, hotel and Spiel tips. See you in the mad throng! Österreichisches Spiele Museum: The Austrian Boardgame Museum is a charity that hosts a collection of more than 25,000 board games. Each year the charity has a stand at Essen with a couple of new games on sale, donated to support the charity and often from highly reputable designers. Recent offerings include the original version of Port Royal (Handler der Karibik) and a Bohnanza variant (Sissi!) from Uwe Rosenberg – plus the games are usually cheap, the money goes to a good cause and they’ll throw a bunch of other promos into your bag if you smile sweetly. Istra Steakhaus: Germany is well known as a carnivorous nation and my favourite restaurant in the city so far is the traditional meat fest of the Istra Steakhaus. Handily located on Rüttenscheider Straße – the nicer of the roads that connects the Messe to the city centre – I’ve had several meaty meals there over the years and never been anything other than well satisfied with the food and also the beer. Expect a ‘traditional’ German welcome (ie, surly) but hey – it’s all part of the experience and they’re a friendly bunch once you engage them. Adlung-Spiel: If you’re from outside Germany you may not be aware of this little card game publisher, who always has a tiny booth squirrelled away in a corner of the Messe. Its games are always in a traditional single card deck-sized box, but can vary from drafting and hand management through bidding and bluffing to children’s and dexterity games. Much like an OSM game above, these are great Essen mementoes. Classic titles include Meuterer, Vom Kap bis Kairo and Blink. Grugapark: Depending on how you arrive at the Messe, it can actually be easy to miss the fact that the north and west sides of the huge conference centre are dwarfed by a huge and lovely country park. Even if you don’t have time for a wander around, or if the weather isn’t playing ball, you can sneak out of Hall 2 on its western edge onto a balcony (mainly wasted on smokers) that has a lovely, peaceful view over the greenery, deer and other tranquil sites – perfect for taking a 10-minute break away from the bedlam inside the main halls. Toys ‘R’ Us: This one may only apply to us Brits, but wandering into this store (which is just a five minute walk from the central Essen Hbf station) its a sobering indictment of the state of the high street for board gamers in the UK. Where in England its wall-to-wall Barbie, Lego and Frozen, at Toys ‘R’ Us in Germany you’ll also find everything from Arkham Horror and Dominion through to the latest Spiel des Jahres nominees. You may find some classics cheaper than at the Messe – but remember language dependency! For many years The Spiel des Jahres, or German Game of the Year Award, has been the undisputed gold standard for the games industry. It was first awarded in 1979, so has history, while the winners see a massive swing in sales – making it worth entering for any publisher. And as Germany has long been the spiritual home of modern board gaming, what better place to turn than Europe for the awarding of the industry’s top prize? But for a decade or so now there have been rumblings from the West: a rising growth in gaming from the US led first by Board Game Geek and now The Dice Tower – Tom Vasel’s little media empire that, despite the odds, has seen the world’s least humble former missionary attain cult status (and make an enviable living from it too). In 2007, in typically modest fashion, Tom declared all other board game awards rubbish and set about setting up his own board gaming Oscars, calling them The Dice Tower Awards. So, eight years on, has the Dice Tower toppled the SdJ – and if it hasn’t, is it ever likely to do so? The SdJ is judged by a jury of German board game critics. Publishers enter games for consideration, as long as they have been available to the German public during the previous 12 months. The main award is for the best family game, because in Germany the hobby is very much still a family one. 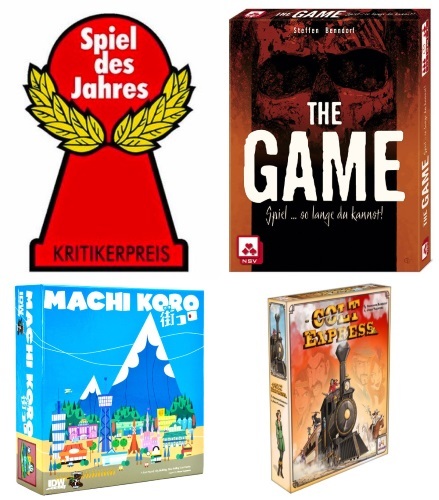 There is a separate award for children’s games (the Kinderspiel), while since 2011 there has also been the Kennerspiel award (roughly translating to ‘connoisseur’ – meaning more advanced than a family game). Many of the award winners from over the years are considered genuine classics. Early winners included Hare and Tortoise (1979), Rummikub (1980) and Scotland Yard (1983), while 90s winners included Manhattan, Catan and El Grande. 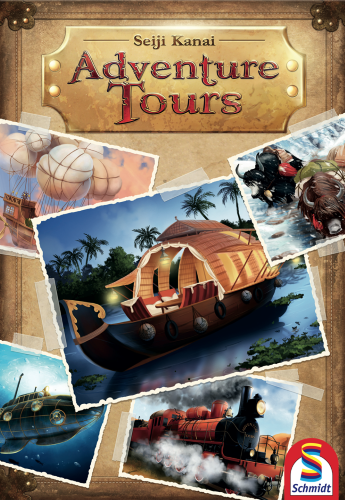 More recent classics to bag the SdJ include Carcassonne, Ticket to Ride, Dominion, Dixit, Qwirkle and Hanabi – a list of titles I’m sure no one could argue with. There have been some choices that seemed odd – in both good and bad years for design (some heads are still spinning at last year’s win by Camel Up) – but generally the SdJ winners are hanging around in the 1,000 games on Board Game Geek, proving their longevity as well as their quality. The awards themselves are announced at a summer press conference, with the nominees invited along (and from what I can tell most go – designers and publishers). It isn’t a showy event, but it is professional; a typically German understated breakfast. People really want to win this thing! As a non-German it can be a good wake-up call for games not already out in English, while the vague ‘family game’ description means anything from a little card game to a big box board game can win. The decisions create debate, which is surely the point, while they normally pick a strong set of winners (the Kenner has been won by the likes of Village, 7 Wonders and Istanbul). The Dice Tower Awards are also chosen by a group of gaming journalists and enthusiasts, but the bias is very much towards the American, English speaking gamer (as should come as no surprise). It now has a total of 14 awards, from Game of the Year right down to ‘small publisher’ and ‘new designer’ – with no less than 11 different titles scooping awards this time around. Over the years, only 7 Wonders and Dominion have won the big one for the Dice Tower and also bagged a German gaming award. All eight of the Dice Tower Game of the Year Award winners so far are highly regarded on board Game Geek, with only Small World having fallen out of the top 100 (just) since its 2008 win. Impressively, all the rest remain in the BGG Top 30. The first winner was even Race for the Galaxy – my favourite game. Despite a seemingly strong roster, the list feels a bit too ‘Ameritrash big box’ to be taken seriously outside of the states. But The Dice tower is very much an American production – so arguably, as with the SdJ feeling German, this is the way it should be. As a non-American some of the lesser awards can throw up some interesting names in the nominations, but as their positions in the game rankings suggest the games nominated and picked tend to be largely predictable. But if they’re the best games for this audience, there is absolutely no harm in that either. I’m sure you noted the, erm, ‘hint’ of sarcasm when it came to the Dice Tower Awards. 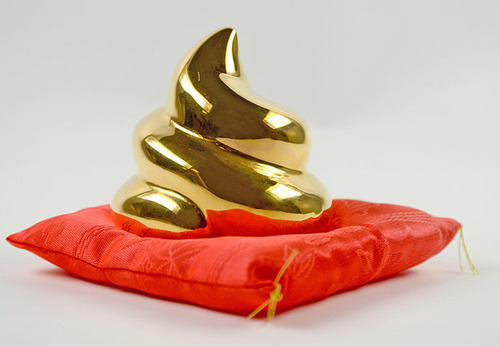 But when you come out and criticise every other award, and say you’re going to make your own – then create something as bland as The Dice Tower Awards – you deserve it. Despite the restriction of being for families, since 2007 the SdJ has gone to games as diverse (and brilliant) as Qwirkle (abstract), Hanabi (co-op, cards), Dixit (imagination, party) and Dominion (genre creating card game). The main Dice Tower Award has gone to eight big box gamer’s games – six of which have fantasy/sci-fi themes (and two of those essentially re-themes of older games). If they read ‘Dork Tower’ rather than dice tower, I don’t think anyone would turn a hair. 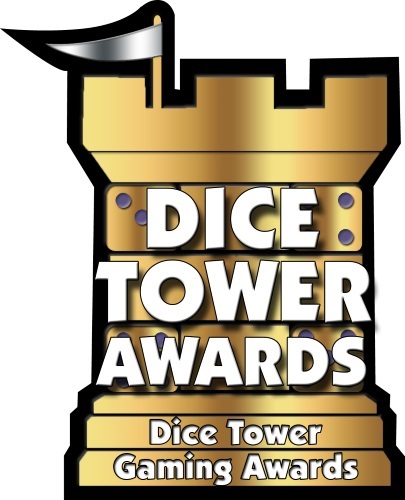 By having such a huge range of awards, The Dice Tower panellists can hide their prejudices for what they ultimately want (minis and spaceships and dice) by dishing out minor silverware on all sides. But the problem with this is that the more awards you have, the more watered down they become – people outside of the winners’ families only ever really remember the BIG winner. And with Tom always seeming to want more of everything, you can only see more – not less – awards in the future. But don’t think I’m saying The Dice Tower Awards are without worth. As already mentioned, these are all highly ranked games on Board Game Geek and a lot of people get a lot of joy out of them (including me in some cases). I don’t think most of them are worthy of awards, but if they help new gamers choose them over opting for some Kickstarter crap then more power to them! In the end I see it as a cultural difference: a country, in Germany, that never gave up on board games – versus a country, in America, that is seeing its nerds and geeks start to become justified in their hobby as it starts to go mainstream. Both these things are awesome, but when you step back one of these looks (and is) a lot more mature than the other. As a Brit its easy to fall into either group – and I happen to have ended up more on the European side of the fence. But I’d like to think that even if I hadn’t I’d still see the SdJ as the more meaningful award. Quirky, yes – but more interesting for it.